Adventure is one of the main reasons people make the trip to Cabo. Adventure tours in Cabo are the highlight of millions of people’s trips. With beautiful views, expert tour guides, friendly locals, and great deals, there’s no better place to feel the rush. Here are some of the most exhilarating adventure tours in Cabo. ATV tours are an absolute must-do when visiting Cabo. It’s an exhilarating feel to rev up the engine and zoom across the Baja desert. Encounter wildlife and explore with friends along the way. With our different tours, you can explore an Indian village, follow along the trails of the Baja 1000, and much more. Imagine flying over the breathtaking landscape of Cabo at up to 35 miles an hour. Zip lining is one of the extremely popular adventure tours in Cabo, but it is definitely not for the faint of heart. Get strapped in, and be prepared for the ride of your life. Check out more information about zip lining here. All of these adventure tours in Cabo provide heart-pounding thrills but especially bungee jumping. Conquer your fear of heights as you leap off into a canyon. You’ll definitely feel the rush on this tour, so don’t be surprised if you want to do it again immediately! To learn more about bungee jumping, click here. Flyboarding tours are one of the newest additions to Cabo San Lucas. This awesome tour takes the force of jet skis and propels riders through the air. You’ve probably seen this tour already, as it looks like the rider is flying over the water! All of these tours are guaranteed to make your vacation to Cabo one you’ll never forget. 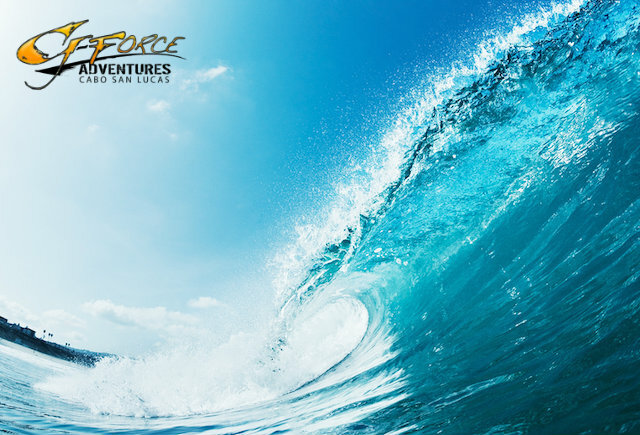 Branch out from the usual vacation tours, and get your blood pumping with these exciting adventure tours in Cabo! With all these exciting opportunities, make sure you do your research on safety standards. Always book with a tour company with the highest safety standards and ratings.